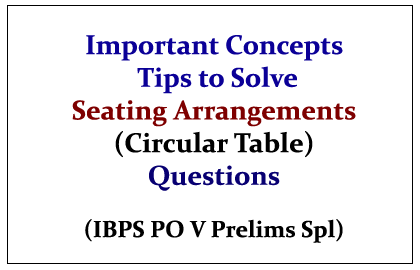 Dear Readers, Important Tips to Solve Seating Arrangements (Circular Table) in Reasoning Section was given here, which were most expected questions in bank exams. Candidates those who are preparing for the upcoming bank exams can download this in PDF. 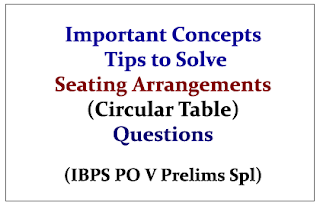 1).Who among the following sits opposite C? 2).Who among the following sits second to the right of D? 3).Four of the following five is alike in a certain way and hence forms a group. Which is the one that does not belong to that group? 4).Who among the following sits between E and F? 5). H sits between which of the following?